Can Google Wallet Help Your Small Business? One of the biggest new inventions in the small business market has to be near field communications. And while we’ve discussed a few of them here previously, one near field communications user that’s steadily advancing–and giving itself steadily more reasons for most anyone to consider using them in small business use–is Google Wallet. Google Wallet is steadily moving toward the point in which users will be able to make purchases simply by tapping their cell phone against a credit card reader, and this is going to change the way you do business. 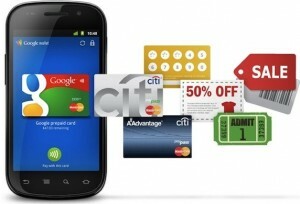 Recently added to Google Wallet is the capability to “remember” coupons. Basically, users will be able to save Google Offers they’ve found or purchased, and then use them through their Google Wallet enabled phone. This feature wasn’t actually available in the beta release, though it was shown off in May when the service was officially unveiled. The down side here is that, while this is going to be the kind of thing that’s really going to take off, more likely than not (it’s backed by Google, after all), it’s going to take a while for this to actually reach that critical mass point. See, Google Wallet only works on the Sprint Nexus S 4G phone. It doesn’t even work on other versions of the Nexus S 4G, like those of AT&T or T-Mobile. So this is going to need to hit more phones before it really becomes something to pay attention to. Still though, it’s a development you’re going to need to keep track of, and have a plan to take advantage of when it finally does make its appearance on sufficient systems to make it worthwhile. After all, once a variety of phones become capable of using Google Wallet, and when you consider the sheer mass of the user base that Google enjoys, it’s a safe bet that there will be plenty of your customers using it. And we all know full well that, when your customers (and potential customers) are there, that’s exactly where you want to be too. How can you get ready for this? Consider your own business. What do you sell? If you’re working retail, then you’ve got an opportunity here. Start thinking about the items you can get in front of people with cell phones that would prove interesting to them. Consider using those items as loss-leaders to draw people in and give them plenty of other items to consider while they’re there. 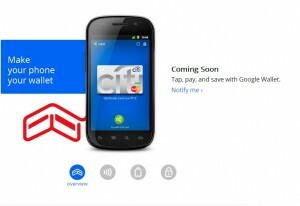 Google Wallet poses a great opportunity for small business, but will you be ready for it? This entry was posted in Sales, Small Business by Steve. Bookmark the permalink.